Christy Emerson is a licensed Private Investigator and a Paralegal, certified through the National Association of Legal Assistants. She graduated with a Bachelor’s Degree in Political Science from the University of South Florida. 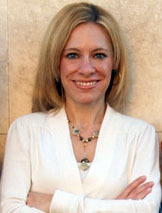 Prior to entering the legal field in 2004, Christy worked as a loan officer and mortgage processor for a Credit Union. Her strong work ethic won her the award of Employee of the Year in 1996 and again in 2000. In 2004, after she completed paralegal courses, she changed careers and went to work for the Hillsborough County State Attorney’s Office, where she spent a year in the high-profile, extremely busy Domestic Violence Division. She was then promoted to the Felony division where she was the legal assistant for a Felony Division Chief before being hired at Cohen, Jayson & Foster, P.A. in 2006. She spent the next five and a half years working as a senior paralegal in the criminal division at the law firm now known as the Barry A. Cohen Law Group. Many of those cases were high-profile cases. She is well versed in trial preparation, trial support, document analysis, and case management. She has also worked on her own as a contract paralegal in different areas of law, including Family Law and Personal Injury. Christy’s desire to learn and to build on her skills in the legal field led her to pursue the path of private investigator. She worked with investigators on every case at Cohen, Jayson & Foster, P.A. (also known as Cohen, Foster & Romine, P.A. and Cohen & Foster, P.A.). Kevin Kalwary was the head of the investigative department at Cohen, Jayson & Foster, P.A. for 13 years. In 2009, Kevin left Cohen, Jayson & Foster and started his own investigative agency. Christy joined Kalwary Investigations as a part-time investigator in 2010. Christy is well respected for her legal acumen, work ethic and professionalism. She realizes the importance of investigation during all stages of a case. Her paralegal background, attention to detail, and analytical skills are an asset in this field.